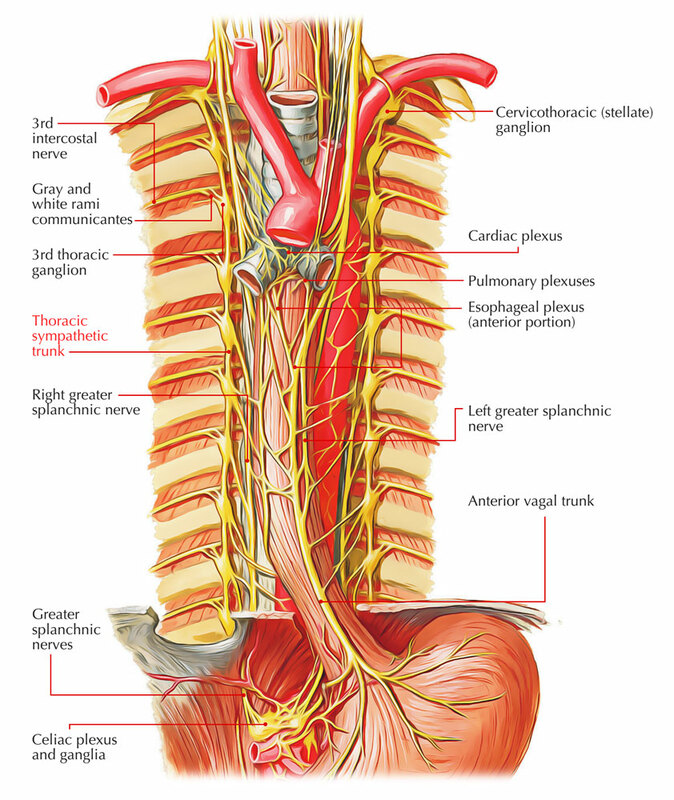 The celiac plexus is the large collection of nerve fibers directly under the aortic hiatus of the diaphragm along with ganglia connected with the roots of the celiac trunk and superior mesenteric artery. Ganglia related to the celiac plexus consist of two celiac ganglia, a single superior mesenteric ganglion, and two aorti-corenal ganglia. The celiac plexus is generally described as giving rise to plexuses that expand out along the several sections of the celiac like trunk the superior mesenteric plexus, the renal plexus and other plexuses. The celiac plexus is the biggest sympathetic plexus of the body. The other large plexuses are the cardiac plexus and the hypogastric plexus. Its Diameter is around 50 mm. It covers the beginnings of the celiac artery as well as superior mesenteric artery. It is located at the level of the first lumbar vertebra, on the first portion of the abdominal aorta, anterior towards the crura of the diaphragm. 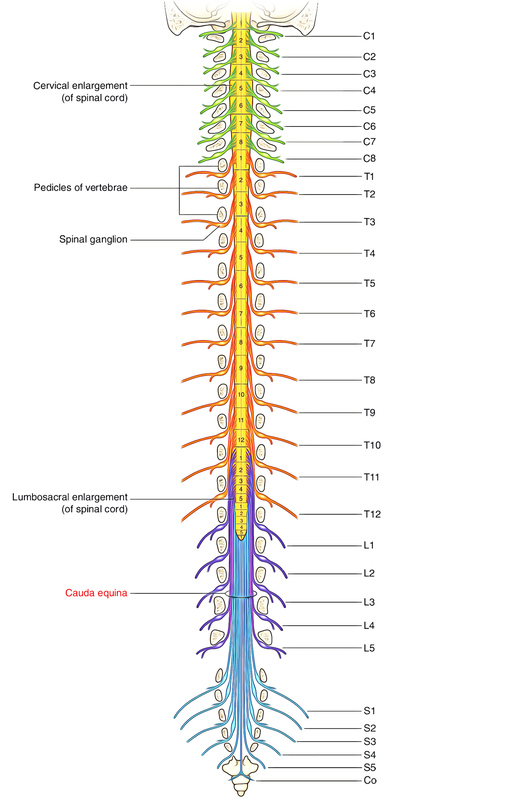 It’s the ventral ramus of the 12th thoracic spinal nerve. It enters the abdomen behind the lateral precise ligament (lateral lumbocostal arch) and runs downward and laterally in front of the quadratus lumborum below the anterior layer of thoraco-lumbar fascia. At the lateral border of quadratus lumborum, it pierces the aponeurotic origin of transversus abdominis and enters the plane between the transversus abdominis and internal oblique muscles of the anterior abdominal wall. 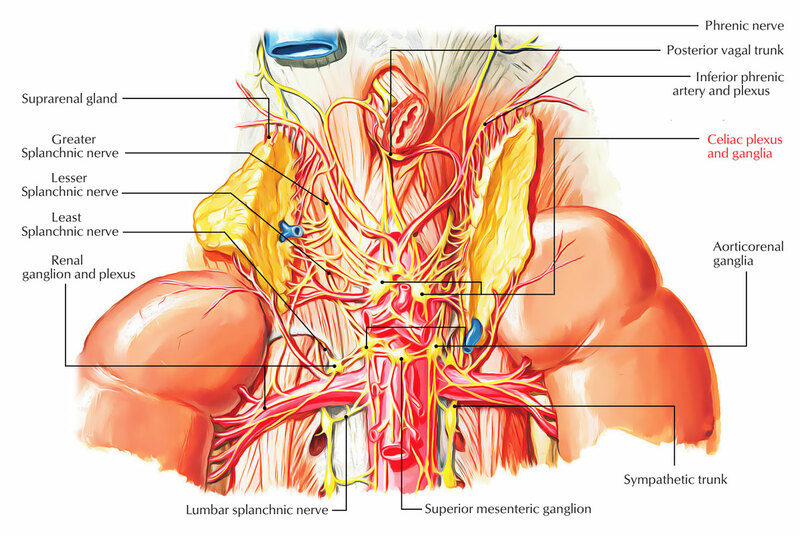 Lumbar Plexus is a network of intersecting nerves in the lumbar region of the human body. The unification of ventral rami of L1 to L3 lumbar nerves and big upper part of ventral ramus of L4 nerve inside the substance of psoas major makes lumbar plexus. The lumbosacral trunk is created when the lower part of the ventral ramus of L4 nerve joins with all ventral ramus of L5 nerve that is a part of the making of sacral plexus. Nervi furcalis is the term sometimes used to designate the ramus of the 4th lumbar nerve, because it forms the link between the sacral and lumbar plexuses. The L2, L3, L4 nerves break up into dorsal and ventral sections. The dorsal sections of L2, L3, L4 unify to create the femoral nerve. The ventral sections of L2, L3, and L4 join to create the obturator nerve. The accessory obturator nerve if present is originated from the ventral branches of the L3, L4 nerves. The main branches of the lumbar plexus are the femoral nerve and the obturator nerve. Thoracic Sympathetic Trunk is a ganglionated chain, situated on each side of the vertebral column. In the thoracic inlet, it’s superiorly continuous with the cervical sympathetic chain and with the lumbar sympathetic chain inferiorly after passing behind the medial arcuate ligament of the diaphragm. The sympathetic chain descends in front of the neck of the 1st rib, head of 2nd-10th ribs and along the bodies of T11 and T12 vertebrae, in front of posterior intercostal nerve and vessels, enters behind the medial arcuate ligament to become continuous with the lumbar sympathetic trunk. 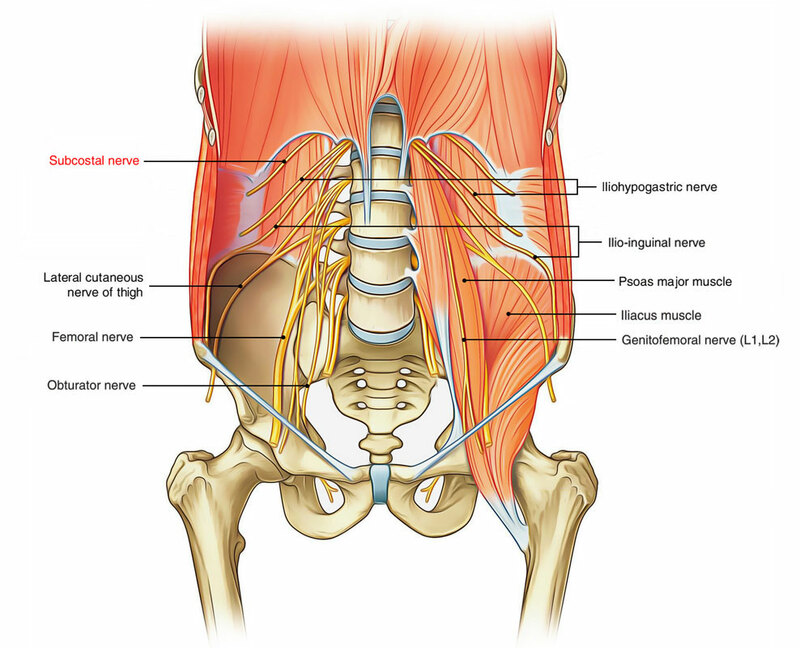 Cauda equina is the package of nerves comprised of the lumbar, sacral as well as coccygeal nerve roots coming from L2 to S5 creates cauda like a horse tail. Generally it starts at the level of L1/L2 disc space distal towards the conus medullaris. The spinal cord terminates at the lower border of the first lumbar vertebra where it blends to create the conus medullaris. The lumbar as well as sacral nerve roots which emerge from the lower portion of spinal cord create a bundle inside the spinal canal under the conus medullaris. 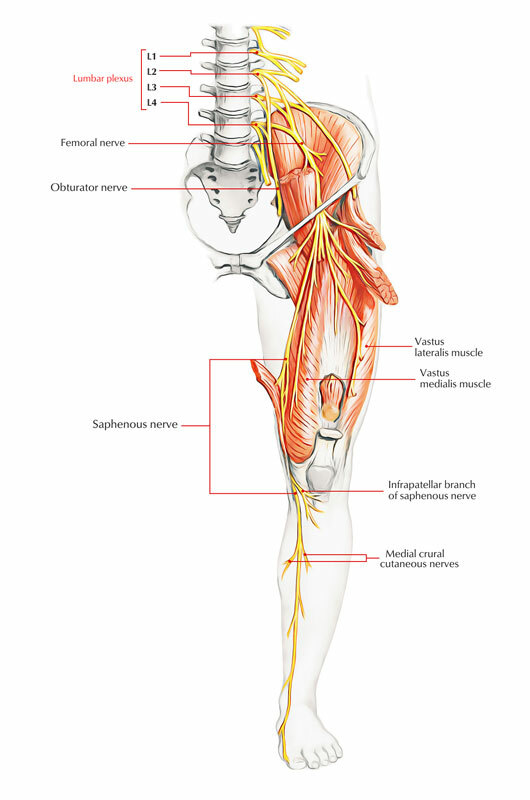 This bundle of nerves is identical in appearance to a horse’s tail and is referred to as the cauda equina. Lumbar as well as sacral nerve roots exit behind the spinal canal, as well as send and collect nerve stimulus to and from the lower limbs along with pelvic organs.